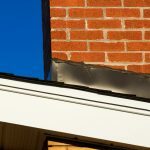 All about skylights and how to maintain them | Warner Roofing, Inc. All about skylights and how to maintain them | Warner Roofing, Inc. Does your kitchen feel drab and cramped during the short, dark days of winter? Is poor lighting making your child’s playroom upstairs feel more like it’s tucked away in a gloomy basement? Brighten up these areas with a skylight. These windows on the roof bring natural sunlight into the living areas of your home, creating a feeling of warmth, well-being, and brightness. On average, a skylight can allow about 30 percent more sunlight into a room than windows. They may help save you money on your energy bill, too, since you’ll be using less energy on lighting. The benefits are clear. But there are still a few things you should consider before putting the time and money into an installation. Skylights let you leverage the advantages of natural sunlight. Here is a closer look at how this benefits you and your family. Balanced light: Skylights flood your home with natural sunlight. They bring balanced spectrum light to any room. They make your living space more open and inviting. Save energy and money: You use less energy for artificial light when you rely more on natural light. This is good for the environment. It also means your utility bills are lower. Better ventilation: Skylights draw warm air up to vent through the skylight. This cools a room, and if the skylight is an opening one, it can bring in fresh air. More privacy: Skylights make it possible to bring more light into a bathroom, or any room, without sacrificing privacy. Will a Skylight Work in Your Home? Most homes can benefit from installing a skylight. Rooms with an attic between the roof and the ceiling will require additional framing and sheetrock work. Solar tubes draw in natural daylight with fewer construction requirements. Either way, professional installation is paramount if you want to avoid future roof problems. Adding a skylight means cutting a hole in your roof. 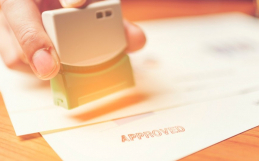 That’s why the work needs to be done by experienced roofing contractors who understand the importance of adequate insulation and precise fitting. 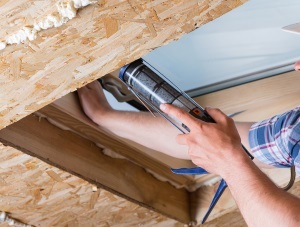 If you’re a skilled handyman and feel up to doing it yourself, skylights are inexpensive. A decent skylight may run you only about $250 to $500, including a flashing kit to ensure against water leakage. 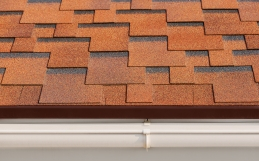 But most people will use a professional roofer to ensure no leakage and achieve a clean professionally finished look. In that case, it may cost anywhere from $700 to $5,000 per skylight to your total expense, depending on your roof style. Also, the flashing might run you more if you have tile or metal roofing, as skylights are generally intended for asphalt shingles. Do you have a clear path in your attic? You might have what seems like the ideal spot in mind for your skylight, but if there are pipes, wiring or HVAC in the way, you will be disappointed. You can check it out ahead of time or have a professional double check. What style of skylight would you like? Skylights are generally very versatile and can suit many different environments, but it’s still a good idea to give some thought to whether it fits in with the general look and architecture of your home. When purchasing a flashing kit, you will see that many are made for specific pitches, so be sure you have accurate information in this regard. What’s the spacing like with your trusses? If your roof is framed with trusses, you will need to know how far apart they are in order to know what size skylight can be accommodated. Most trusses allow for two-foot-wide skylights. You can cut a truss if you want to go with something wider, but then you should consult with a structural engineer. The estimated dollar figures are just to give you a rough idea of what to expect. If you are interested in having a skylight installed in your home, give us a call and we will be happy to give you a cost estimate tailored to your home. If at any point you have any questions about skylights, you can call Warner Roofing at (360) 694-0249 and we’ll be happy to help. A skylight is a good investment, as they tend to last a long time. You might run into an issue here or there that needs fixing, such as a leak. If a skylight leak is minor, it is not difficult to repair, and you can do it yourself. 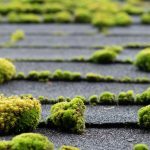 If the issue lies with the roof or the window, then it could be part of a larger problem that may need professional repair. We’ll explain the difference as well as some causes for leaks and ways to repair. 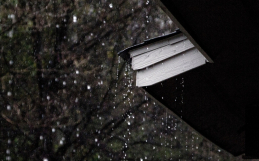 Some leaks aren’t actually leaks, but condensation from cold temperatures within the home (this is common during winters and rainy seasons in Vancouver, Washington). Other times it’s from a leak in the roof, not the actual skylight. The best way to find out is to do some troubleshooting. Clean debris around the skylight. A skylight may leak if water can’t drain from the roof. This happens when leaves, fir needles, and other debris prevents runoff and water pools, which seep under the shingles. It could also happen from clogged gutters. Snow and ice may also create standing water. When the snow and ice begin to melt, puddles form and can drain through the shingles or flashing. Check the stripping. Are there any gaps? This happens during an improper installation. Weather stripping and seals also wear out over time, which can let water through. Examine shingles or flashing. Damage to the roof can cause a skylight to leak. The damage may not be adjacent to the window. 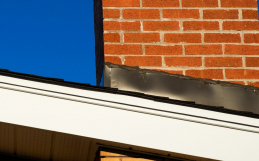 A leak near a vent flashing or a missing or broken shingle above the window allows water to penetrate the roof and travel to the skylight. This type of damage can become extensive if it’s not promptly repaired. If you still can’t find the source, you can try running a garden hose over the area and seeing where water seeps through. A leak can be repaired in various ways. Here are the four most common practices. Sometimes, these repairs may not be enough. If a skylight has been leaking for some time, there could be water damage such as mold, mildew or rot. Sometimes a leak can’t be repaired, and the window must be replaced. New flashing and shingles may also need to be installed. The team at Warner Roofing has years of experience with all types of roofing-related work. They are professionals who have earned a reputation over the years for quality craftsmanship, superior materials, and excellent customer service. All installers are thoroughly trained, and the work is guaranteed. Warner Roofing also handles skylight repairs. Known for their attention to detail, the team at Warner can install new flashing before replacing a skylight if needed. They know what to look for to prevent leaks from occurring between the panels during the repair and replacement. They use energy efficient materials that are high-quality, strong, and long-lasting. Interested in a new skylight? Does your current one need repair? Request an estimate or call us at (360) 694-0249 for a free estimate. PLEASE NOTE: Warner Roofing does not do metal roofing.